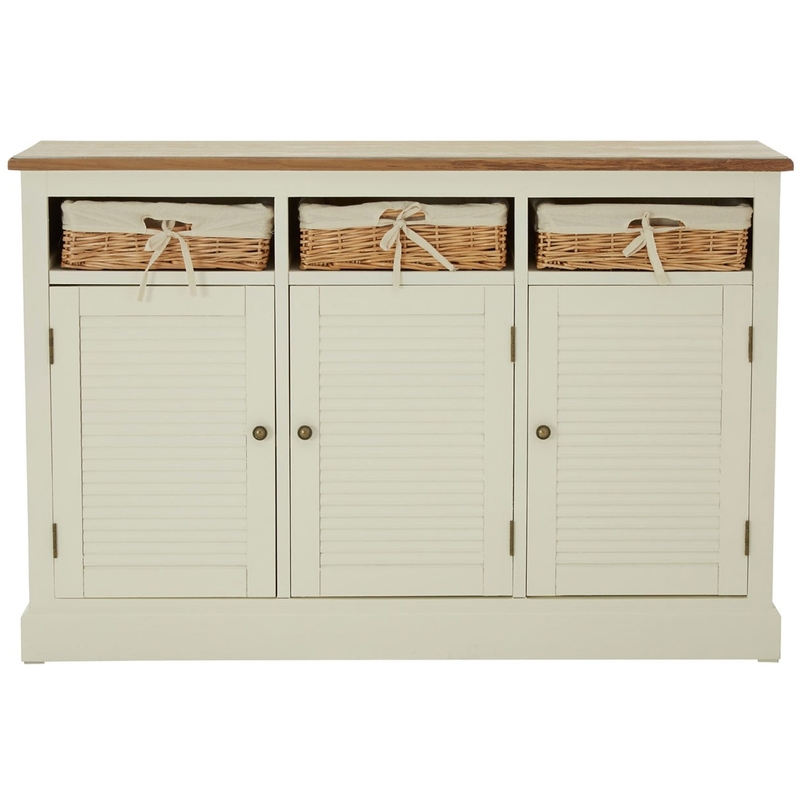 Make your home feel a lot more complete by introducing this gorgeous Dorset Cream Sideboard. It has an astonishing design that's sure to stand out and impress, whilst also tying your home together nicely. This sideboard is not only beautiful, but also very practical. It includes 3 cupboards and 3 basket drawers.